Hi and welcome to my website. My name is Tommy Brady and I am a professional EFT (Emotional Freedom Technique) Therapist. In 1974, I had my first bout of back pain. I was diagnosed with a slipped disc by my local doctor. He advised that I rest and prescribed me an anti-inflammatory. That was the start of back problems that continued for 34 years until 2009. Over these years my condition deteriorated – to the point of being in severe chronic pain. Despite undergoing all the conventional treatments, e.g. physiotherapy, chiropractor, osteopathy and also many alternative treatments, short term relief was all I gained. On a night out with my wife, I found myself in conversation with an English lady whom relayed the success she had with EFT (Emotional Freedom Techniques) in dealing with similar back problems as mine. I got in contact with a practitioner and decided to give it a try. I had 4 sessions which changed my life. I am pain free and I only have to take a look back to appreciate where I am now. This practitioner told me that I could consider a career in EFT. He told me he could see qualities in me which could be developed in training to make an excellent practitioner. He pointed out that as I had such severe back problems for so long and had such success with EFT that this would be a great advantage to me in helping others. Since 2009 I have studied and practiced the most modern and advanced EFT techniques intensively and completed the necessary training, qualifications and of course also successful treatment of clients. Some testimonials from recent clients are copied below. 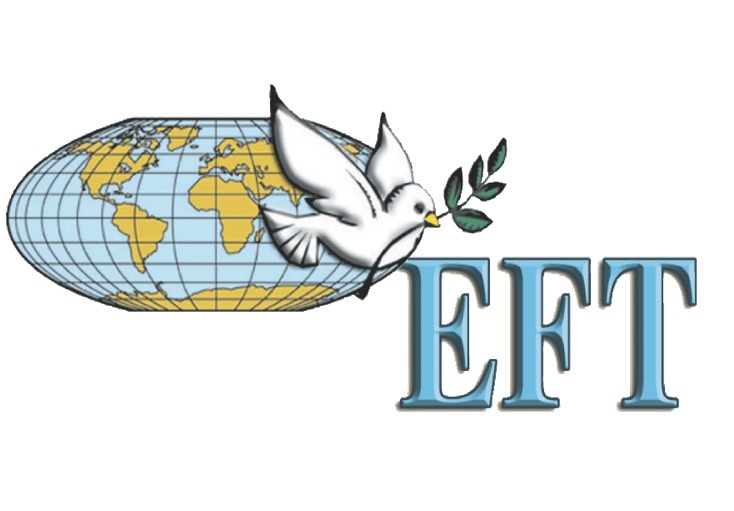 Comprehensive information how EFT works and on what EFT may be used on may be found by clicking here. I have smoked for the last 42 years from when I was 15 yrs old, smoking 30 cigarettes a day. I tried 5 different methods to stop smoking. I was advised to contact Tommy Brady who is an EFT Therapist. I made a appointment, and after one visit I was a non-smoker. No cravings, no withdrawal symptoms. Even when I am in the company of smokers I have no desire to smoke. I am very happy to be a member of the Non-Smokers-Club for the past year. I am a 32 year old mother of 2 Children, I started smoking at the age of 13, I had made several attempts to quit, without success. Six months ago, I watched in horror as my 3 yr old daughter picked up half a cigarette that was lying on the footpath and put it in her mouth This was the last straw – not alone was I endangering my own health but I was passing the habit onto my daughter. 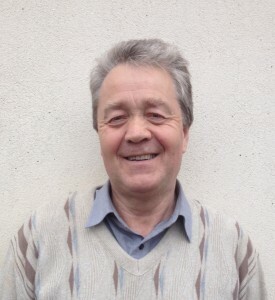 Tommy was recommended to me as been very successful in helping people to stop smoking with EFT , I made an appointment and after 2 visits I am very proud to say I am a non-smoker. I just want to say thanks very much to Tommy and his EFT Therapy. Five years ago I started to experience pain in my neck and shoulder area I visited my doctor who referred me to the local hospital for an x ray the result of this was wear & tear. I was prescribed pain killing and anti-inflammatory tablets, and advised to have physio-therapy. These were of little benefit as my condition got progressively worse. I was told that with the help of exercise and medication I should be O.K. The pain was persistent and was not only in my neck but was proceeding up to the crown of my head. I found it very difficult to cope with it, after 10 sessions of physio and Gazer treatment, I experienced short term relief. In order to get to sleep each night, I had to apply a heat pad around my neck and shoulder area. During the day I was taking pain killing tablets. I heard about EFT and its results, and decided I would give it a try. After the second session with Tommy my pain had eased considerably and I was eager to continue. After the 3rd session I could not believe that I was completely pain free after years of pain. Not only that but I feel totally energized by the whole experience. Amazingly, EFT also helped me to deal with a lot of issues that had annoyed me for years. I, personally, would strongly recommend Tommy and EFT. I suffered from osteo-arthritis in my hands which was diagnosed 8 years ago. My condition got progressively worse year after year. I was in severe pain especially in the winter time. I tried medication but it was of little benefit to me. Then I heard about EFT and got in contact with Tommy. He give me a good explanation of EFT and where I had to go. Despite being skeptical at first I wasn’t put off by my first or second sessions which I did not get any results from. Then, after my third visit I got complete relief from my pain and within 2 or 3 days the swelling in my joints had disappeared. My hands are now perfect. I had another issue that I needed addressing, I was afraid of speaking in public or at meetings at work, Tommy dealt with this in the next 2 sessions very successfully. I am very pleased with the results, I am now in a good place, very comfortably with no pain. Plus as a bonus I was able to stop smoking!! I found the whole experience most beneficial and was overwhelmed by it all. Earlier this year, my husband suffered a brain hemorrhage, and ten days later, he lost his fight for life. We had been married for 34 years and it was a dreadful shock. I was consumed with grief and sadness. I’m not in the best of health myself and he had always been a great support to me over the years. I had two sessions of EFT with Tommy, which helped me greatly to deal with the depths of my grief. It helped me to re-focus on the love and happiness we shared together and with our family. I miss my husband and always will but EFT has been very beneficial to me in this, one of the most difficult times of my life. I suffered from severe pain in my lower back for many years and had various treatments which would help in the short term. Painkilling tablets would give me relief but I was reluctant to take them. I hurt my shoulder in an accident outside my home two years ago. Muscle damage was diagnosed. I had physio which helped but was still very painful. A friend advised me to contact Tommy Brady which I did. After the 3rd session my pain was gone but I still get slight pain and discomfort in my shoulder at times. I’m very pleased with the results, although I’m not perfect. I would highly recommend EFT to anyone. I was diagnosed with Leukemia 10 years ago, did not need any treatment for 5 years. I had regular checks and was then told I needed treatment as my red cell count dropped to low levels,, I had chemo-therapy treatment at different intervals which was difficulty because of side effects. I started the last cycle of chemo-therapy in July. This was the first of six. After the first 3 treatments my hemoglobin level dropped to dangerously low levels which necessitated having blood transfusions. Then I heard about EFT and had 2 sessions with Tommy Brady. The result were astounding. My hemoglobin levels were normal. I didn’t need any change of blood for the remaining 3 treatments.,my overall health improved dramatically. I feel no fears for my future or no fear of any future treatment that is if I need any more, I have wonderful success with EFT, in fact it has been life changing for me. I suffered from severe back problems for over twenty five years, my local doctor prescribed pain killers and anti-inflammatory tablets and ordered complete rest. X rays showed everything was normal Several times each year I would have a re-occurrence, I did put it down to hard work. I had treatment with chiropractors and osteopaths many times which was beneficial short term. My condition got progressively worse over the years and I had chronic pain constantly. Ten years ago, I was advised to give up manual work and I complied with this as I felt I had no other choice. I then tried numerous treatments, 10 in total. I would get some relief but that would only last from 1 to 3 weeks. I heard about EFT and although very hesitant at first, I decided to try a few sessions and I was quite amused at the method used. That turned to amazement when after 2 treatments my pain had subsided greatly. Two further sessions left me in very good shape although the therapist pointed out that I needed some work done to loosen up muscles that had contracted especially on my right side, I had 2 sessions with a massage therapist who specialized in spinal injuries and I am now in excellent shape with no pain. I feel so free, in fact it feels like I have turned the clock back. After so many therapies that failed, its wonderful to have found EFT. I have had a life changing experience with it. I highly recommend EFT and this practitioner. I was in a very abusive relationship for more years than I care to remember and found life very difficult. My former husband reneged on all his responsibilities to me and our children, financially and otherwise. This placed a great burden on me and as a result took me down to a very low ebb. I developed a frozen shoulder 7 years ago and was in constant severe pain. After a number of sessions with Tommy my shoulder is perfect, full movement and no pain. Also all the emotional issues from my abusive past have been successfully dealt with. I now feel confident and free to get on with my life. – J. H.
I had a hip replacement 5 years ago, which as a result my sciatic nerve was severed. I could not walk without support and was in very severe pain. I had corrective surgery which failed. In December 2010 my husband died suddenly and I was in an uncontrollable state of grief. On the advice of a friend I contacted Tommy. I had 3 sessions of EFT. After the first treatment my pain was gone and has not returned and my grief was less intense. Through EFT Therapy I am effectively coping with the loss of my husband. I am very grateful to Tommy for assisting me in what was a very difficult time in my life. I am a forty Year old man who suffered from depression for many years, normal medication was of little or no benefit to me. My doctor advised me to contact Tommy Brady, an EFT Therapist whose treatment was very successful for other clients whom he had referred to him. Although reluctant about this therapy at first and having to travel a long distance (55mls), I commenced treatment. After 2 sessions my condition started to improve and within a few weeks I was in a much better place in life. It was just wonderful to feel so well again. EFT therapy has changed my life. EFT is not intended to replace your relationship with your doctor and is not intended as medical advice, diagnosis or treatment. If you are under the care of your doctor we encourage you to discuss any changes in lifestyle, diet, exercise programme, nutrition or use of energy tapping, prior to making any changes, and never discontinue prescription medication without consulting your doctor or pharmacist.